We are filling the oceans with millions of tons of plastics and other trash daily. 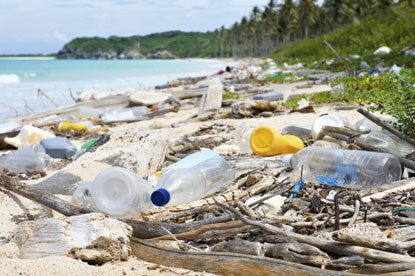 Researchers now estimate there will be more plastic than fish in the oceans by the year 2050. This trash threatens animals, birds and marine life that mistake it for food. But it also threatens us. As plastic breaks down in the water, dangerous chemicals become concentrated in the marine food web and contaminate the seafood we eat. Scientists estimate that seafood eaters are ingesting 11,000 tiny pieces of plastic each year. W2O is joining with dozens of other organizations calling on lawmakers in Massachusetts to pass a state-wide ban of plastic bags. Massachusetts would become only the second state in the country to ban plastic bags, behind California. We are asking you to call your state lawmakers and urge the passage of the bills HD 134 in the House and SD 896 in the Senate. These bills are calling for the ban on single use plastic bags. Here is some information to help advocate for the ban. Plastic bags clog storm drains, pollute our parks and end up in our waterways, resulting in costs to our businesses, taxpayers, and environment that are much higher than worth of the convenience they provide. A statewide ban on single use plastic bags, along with public outreach and education regarding reusable and washable alternatives, would go a long way to reducing litter and protecting our blue planet. The seemingly endless ocean is rapidly filling with trash. Massachusetts’ waterways and our great Boston Harbor are the arteries to our ocean, the heart of our planet. The ocean takes care of us: it provides us with the air we breathe, the food we eat, and ensures security for our coastal cities. As Massachusetts women, mothers, and community leaders, we work to protect the natural resources that we love. Our blue planet is the ultimate provider and protector, and we hope to pay it back in kind. Reducing plastic across Massachusetts will lead to cleaner ecosystems for all life in our beautiful Commonwealth. Push for the elimination of plastic bags, Styrofoam and single use plastics in your town or city. 80 communities across Massachusetts have already passed some type of legislation. Find out if your community has taken a stand (www.massgreen.org) or what you can do to take action in your community. Join the Mass Green Network and support this movement! Refuse single use plastics including straws, water bottles and carry reusable bags to stores. Raise awareness around the issue by educating your friends and family about single-use plastics and their dangers. Promoting healthy and sustainable oceans through education that inspires advocacy and action. © 2019 Women Working for Oceans.